ALTERNATIVE APPAREL garments are made from recycled fibers. 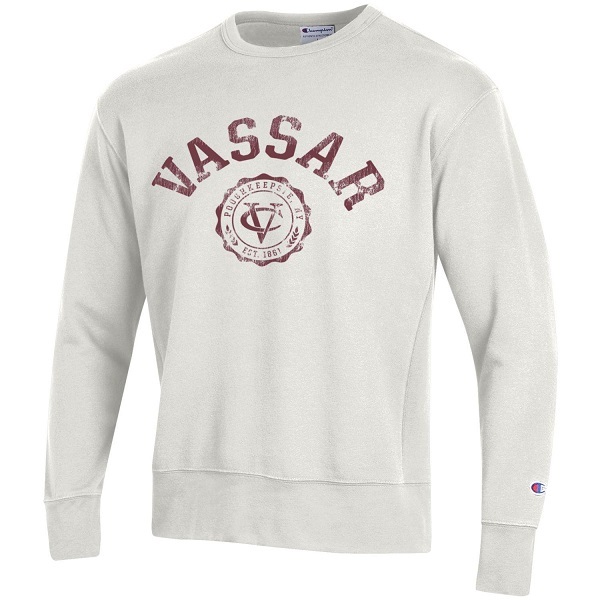 This color blocked Crew neck in a 50/46/4 cotton/poly/rayon Blend is super soft and the Vassar Logo offsets the heather fabric. Please select option for ALTERNATIVE APPAREL COLOR BLOCK SWEATSHIRT. ALTERNATIVE Apparel is a textile company that offers clothing created in a sustainable manner. The Fabric is largely made up of recycled materials from the US. They are comfortable and very soft garments. 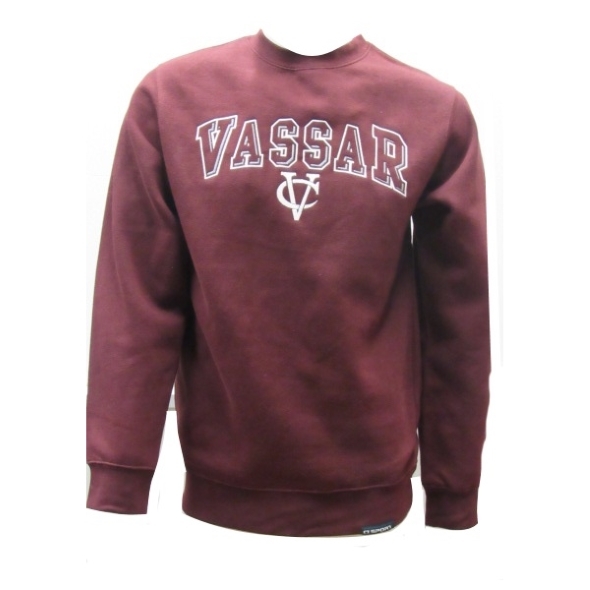 The Vassar logo is the perfect addition to the heathered maroon fleece crew neck. 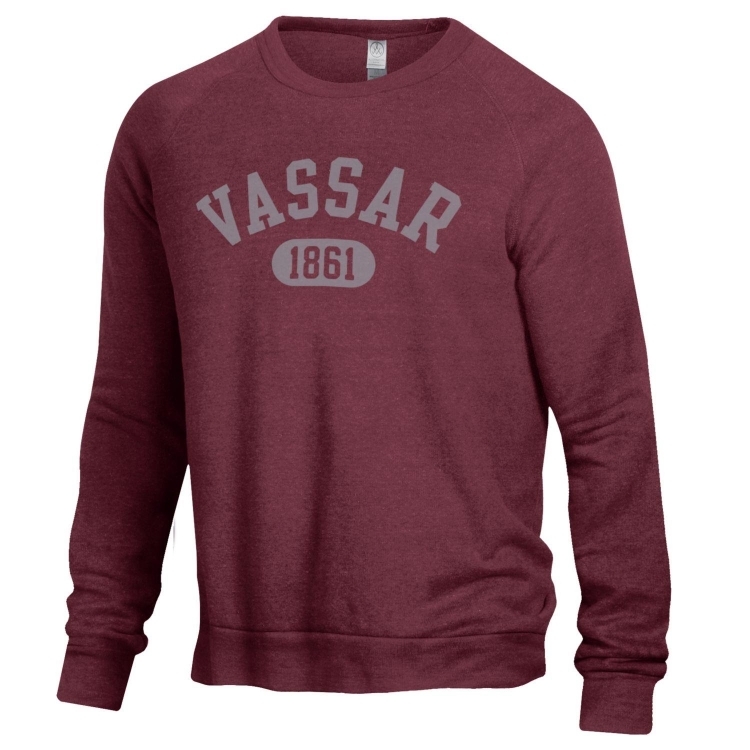 Please select option for ALTERNATIVE APPAREL MAROON CREWNECK. ALTERNATIVE APPAREL is rooted in responsible and eco-friendly practices. They use proprietary fabrics & specialty washes to make one-of-a-kind pieces that you will want to wear everyday. 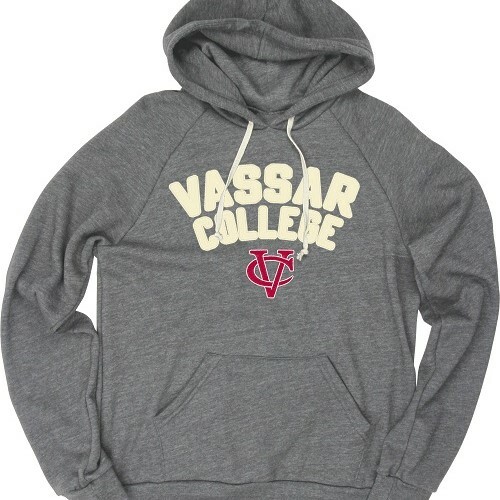 This heathered hoodie features a 3d V and the Vassar seal. 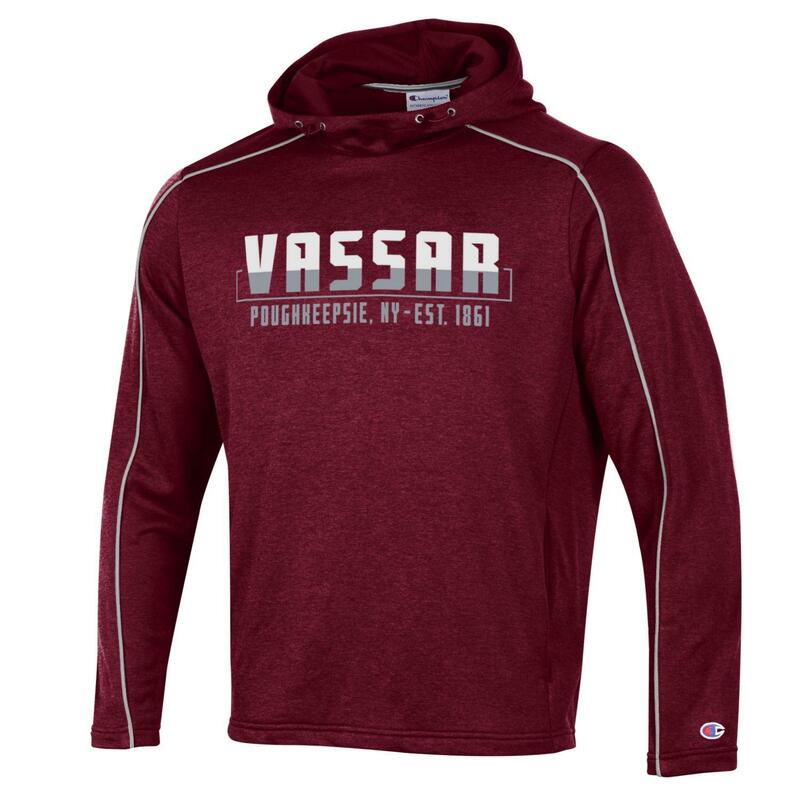 Please select option for ALTERNATIVE APPAREL MAROON HOODIE. 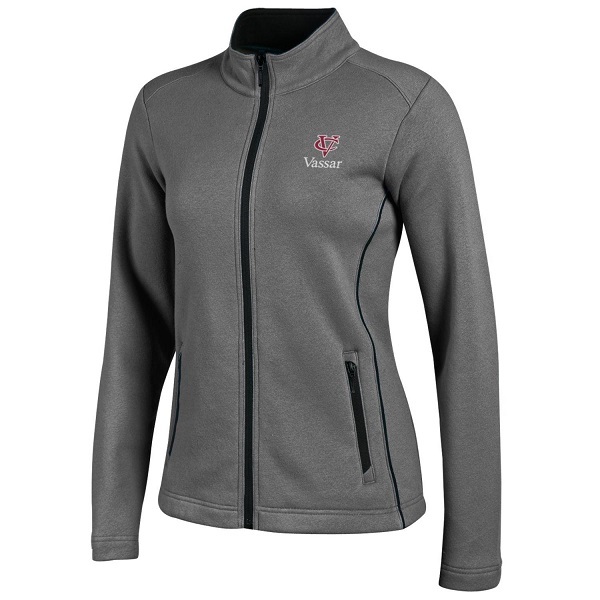 Embroidery and Applique set this 1/4 zip apart from the rest. The 55/45 cotton/poly blend gives it a super soft feel and a look of quality. Please select option for BLUE 84 BIG DETROIT 1/4 ZIP. 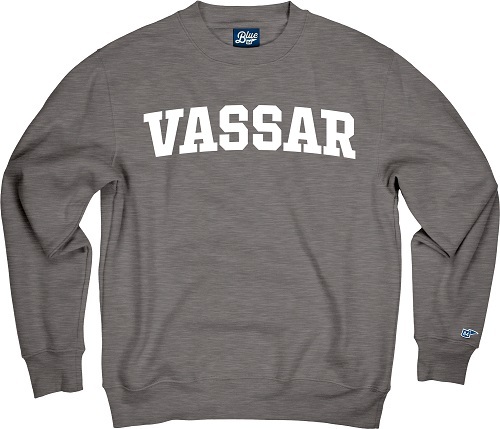 Simply stated, one color Vassar screen print on a quality Crew neck Fleece. The 60/40 cotton/poly blend gives it a super soft feel. Sure to become your favorite and a great value! Please select option for BLUE 84 CAMPBELL CREW. A tribute to those who remember the original college colors. 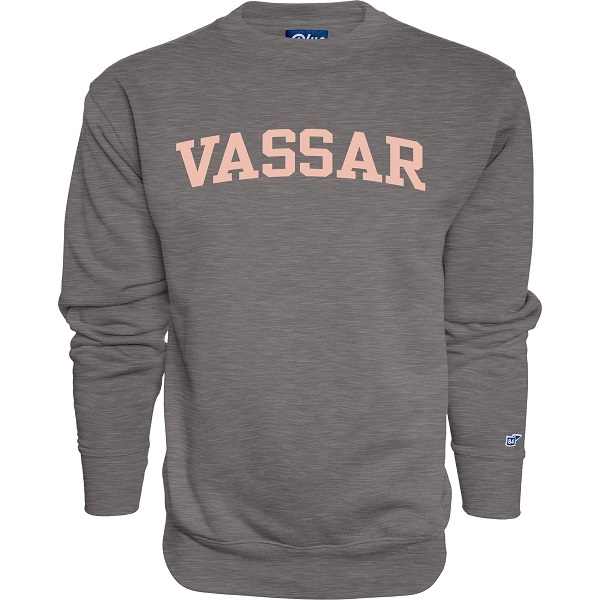 This Heather gray crew neck has a rose pink Vassar Logo and is crafted in a 60/40 cotton/poly blend. This is a favorite in the store and is sure to be popular online as well. 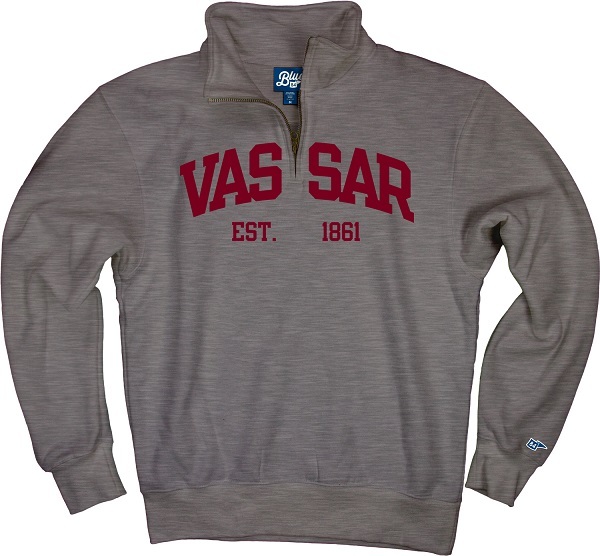 Please select option for BLUE 84 GRAY SWEATSHIRT WITH ROSE LETTERING. 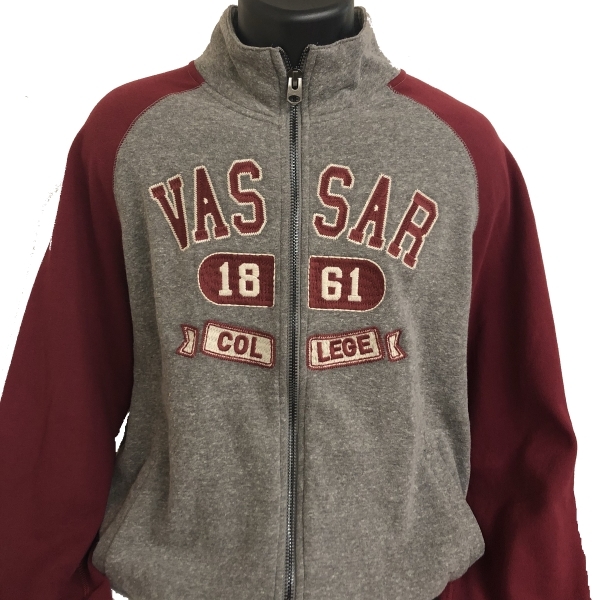 We can't get enough of the BLUE84 Triblend, This hooded fleece has a two color embroidered interlocking VC with rough cur out twill applique letters. 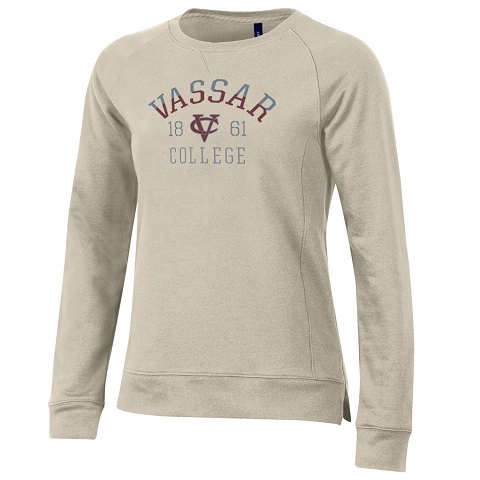 The contrast of the lettering with the Crisp VC logo makes a great statement. Fabricated for softness, the 50/37/13 Poly/cotton/rayon blend fleece is the hood you'll be reaching for every time you go out. Please select option for BLUE 84 TRIBLEND MENS HOODED FLEECE. 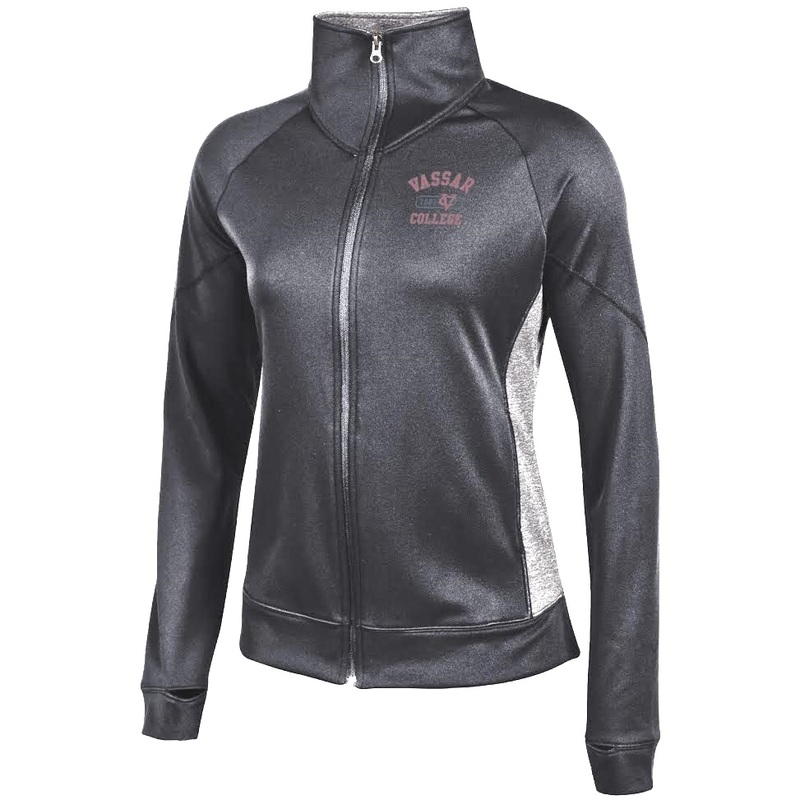 Please select option for CAMPUS CREW LADIES TRACK JACKET. Made in Canada Campus Crew creates a very detailed embroidered garment that is extremely soft to the touch. 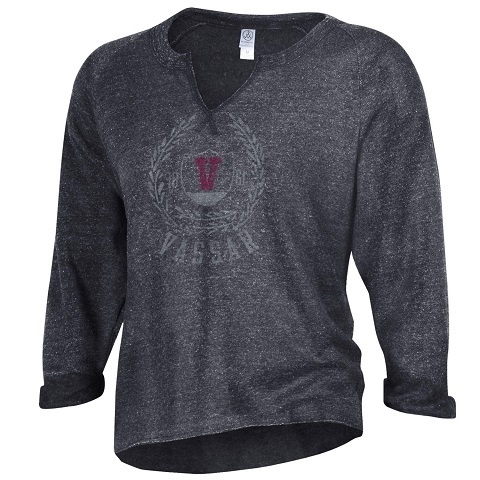 the 54/37/9 poly/cotton/viscose tri blend adds to the comfort and luxurious feel. 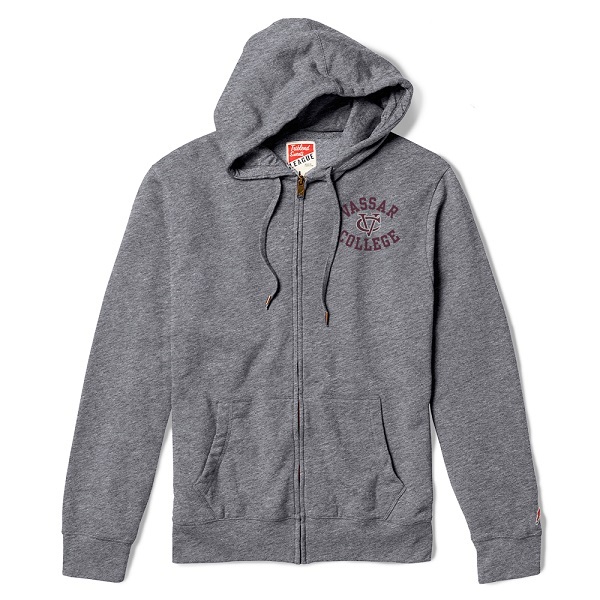 Please select option for CAMPUS CREW MENS FULL ZIP. 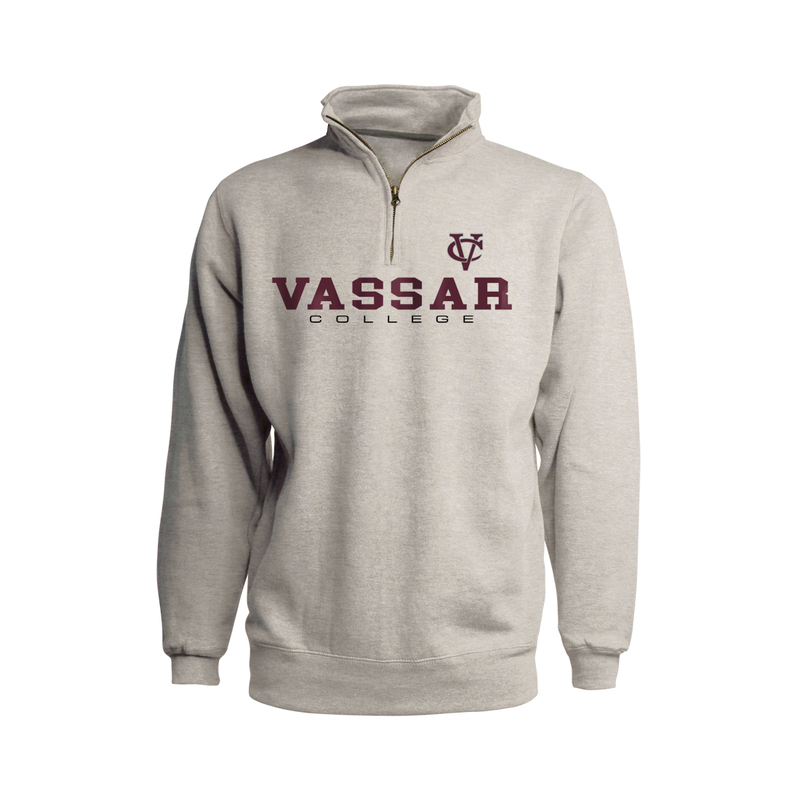 This hoodie is a super soft poly cotton blend and fully embroidered with Vassar logo. A high quality garment at a value price. 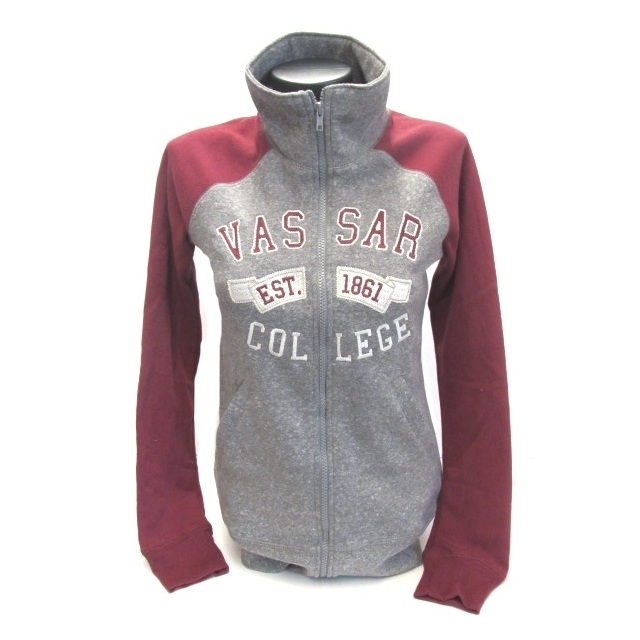 These are new to the college market and are extremely popular here at the store. 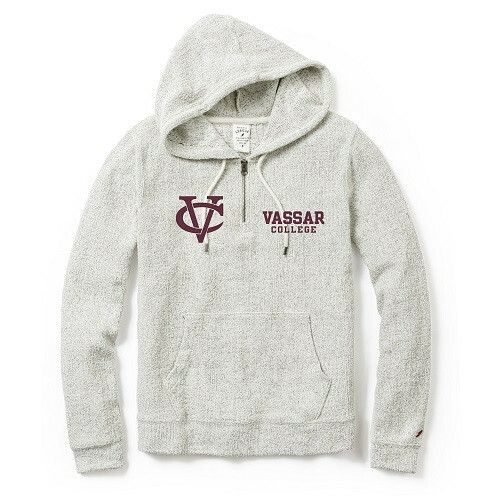 Please select option for CAMPUS CREW PULLOVER HOODIE. 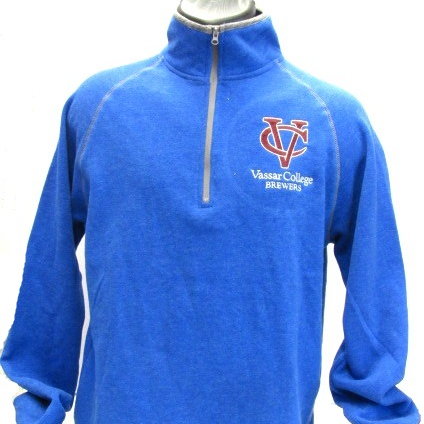 The super soft fleece 1/4 Zip fleece in Royal blue features an embroidered VC and Brewers logo. Can be worn as a layering piece or as is. You'll love the comfort of this 60/40 cotton poly blend. 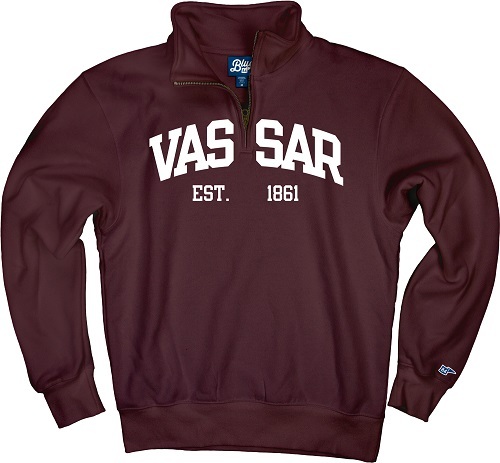 Please select option for CAMPUS CREW ROYAL 1/4 ZIP. Please select option for CAMPUS CREW TRACK JACKET. Please select option for CHAMPION HERITAGE HOOD. Please select option for CHAMPION MENS ROCHESTER. CHAMPION POWERBLEND CREWNECK ASSORTED COLORS. GRAY, MAROON, NAVY AND BLACK. Please select option for CHAMPION POWERBLEND CREW ASST. COLORS. 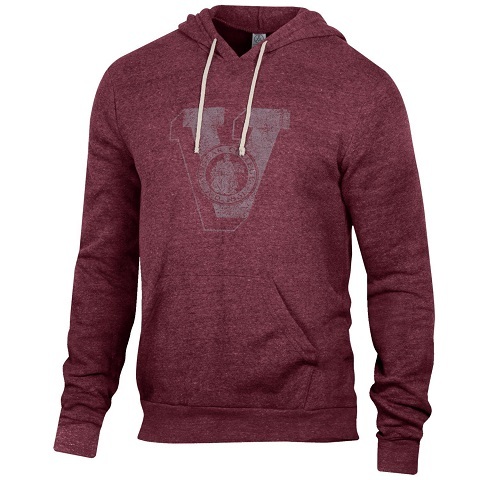 Please select option for CHAMPION POWERBLEND HOODIES. Please select option for CHAMPION REVERSE WEAVE. 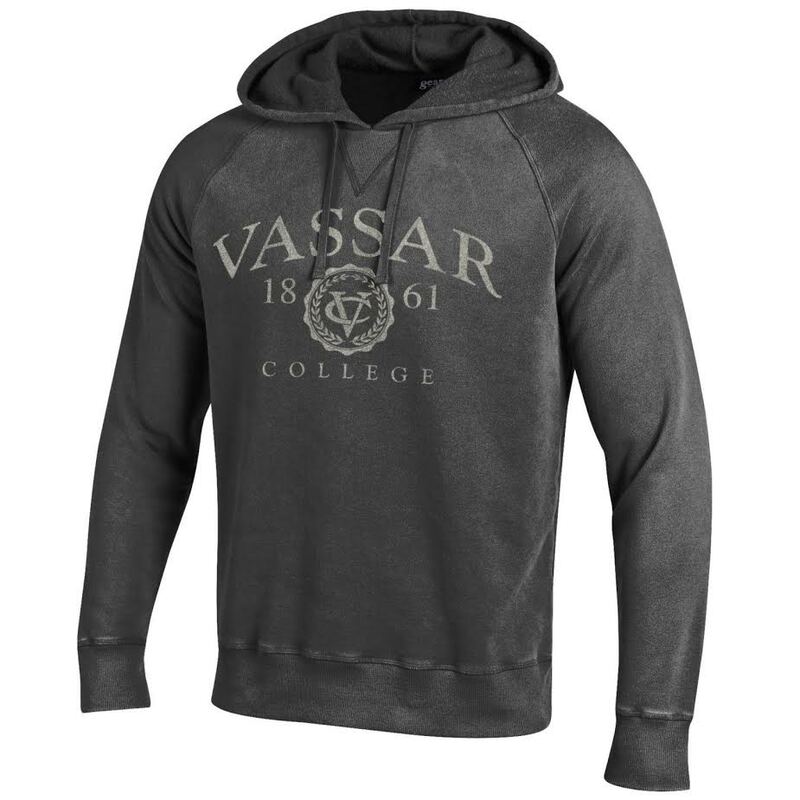 Pure performance and comfort, this updated hoodie features Gray piping to make the two color graphic stand out. Features our City and state as well as the established date. Show your pride in comfort and style. Please select option for CHAMPION SPARK PO HOOD. 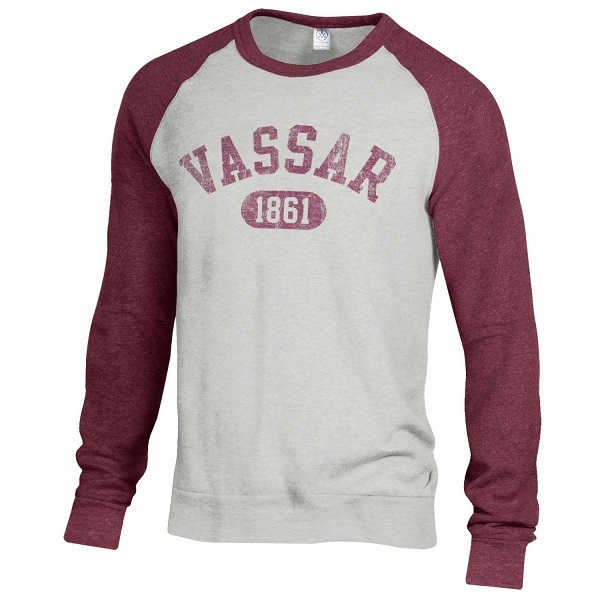 This crew neck is available in two colors and looks great in both. 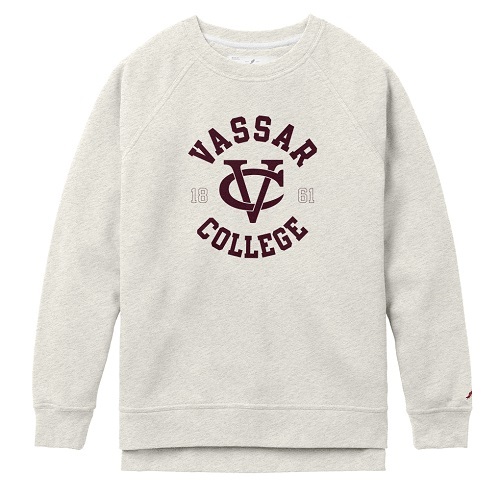 The embroidered Vassar logo is simple but elegant. The 80/20 cotton/poly blend makes for a quality garment that will only get softer with use. Please select option for CI SPORT CLASSIC CREW. A full zip with a clean, close to the zipper Logo. This new process allows the design to look like it does on a crew neck. Both colors are striking and its hard to pick a favorite. The 50/50 cotton/poly blend is soft and durable. Please select option for CI SPORT CLASSIC FULL ZIP. 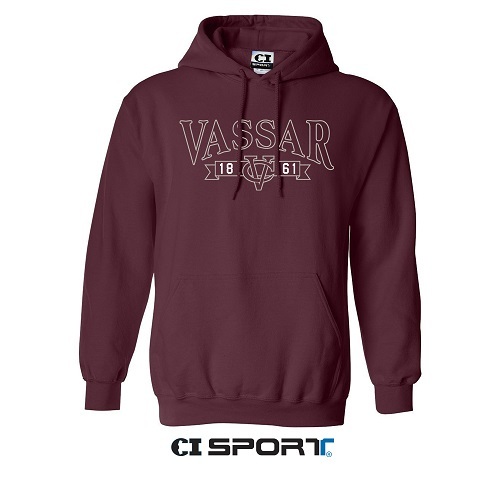 Please select option for CI SPORT DARK MAROON CREW. 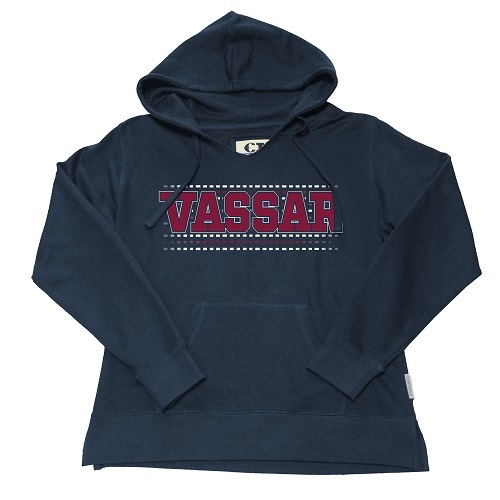 The CI SPORT Navy French terry Hoodie features Vassar lettering in against a two color dash pattern for added pop! It is made from a blend of 80% cotton/20% polyester. Please select option for CI SPORT LADIE'S HOODIE. 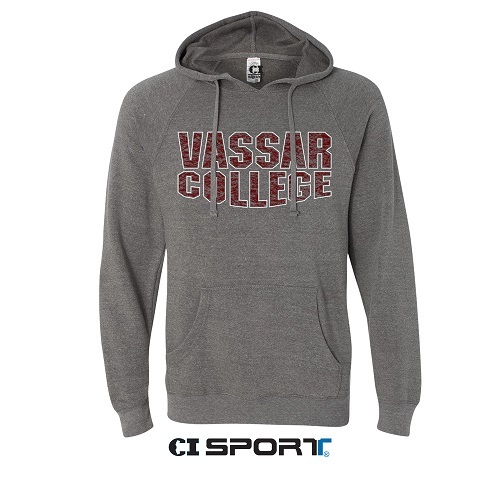 This Hoodie by CI SPORT is available in two colors, both are embroidered with gray lettering and a white shadow with a white interlocking VC. They feature a notched V-Neck and oversize drawstrings. The 80/20 cotton/poly blend add to the softness and durability. Please select option for CI SPORT LANA EMBROIDERED HOODIE. Thss Hood features a logo that id fully embroidered. 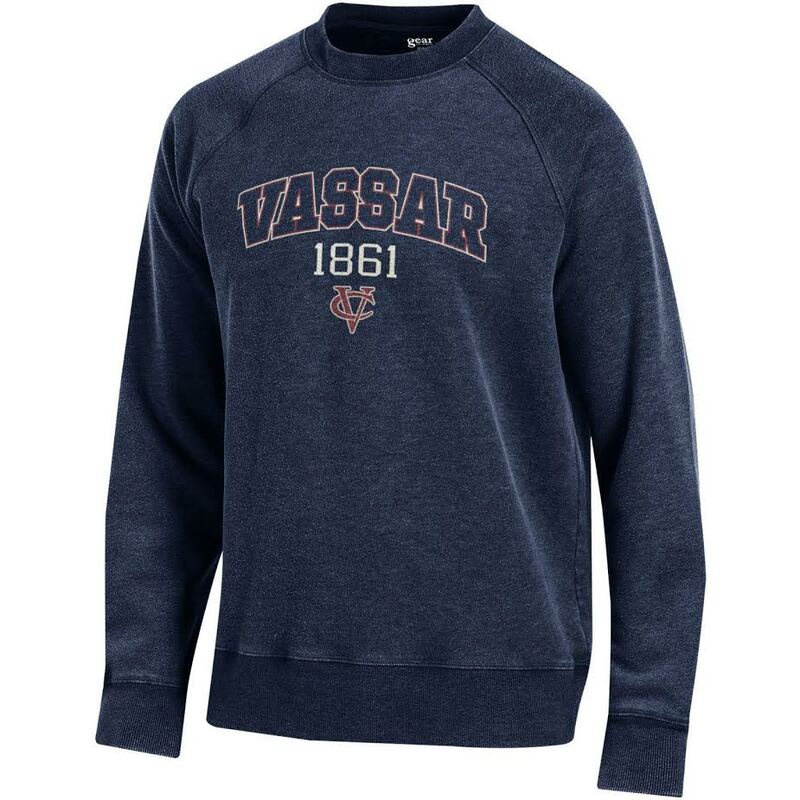 The tonal Embroidery of the Vassar and VC logo adds understated elegance to an already stylish design. You will appreciate the details and the quality of this drawstring hood. Fabricated in an 80/20 cotton/poly blend. This one doesn't disappoint. 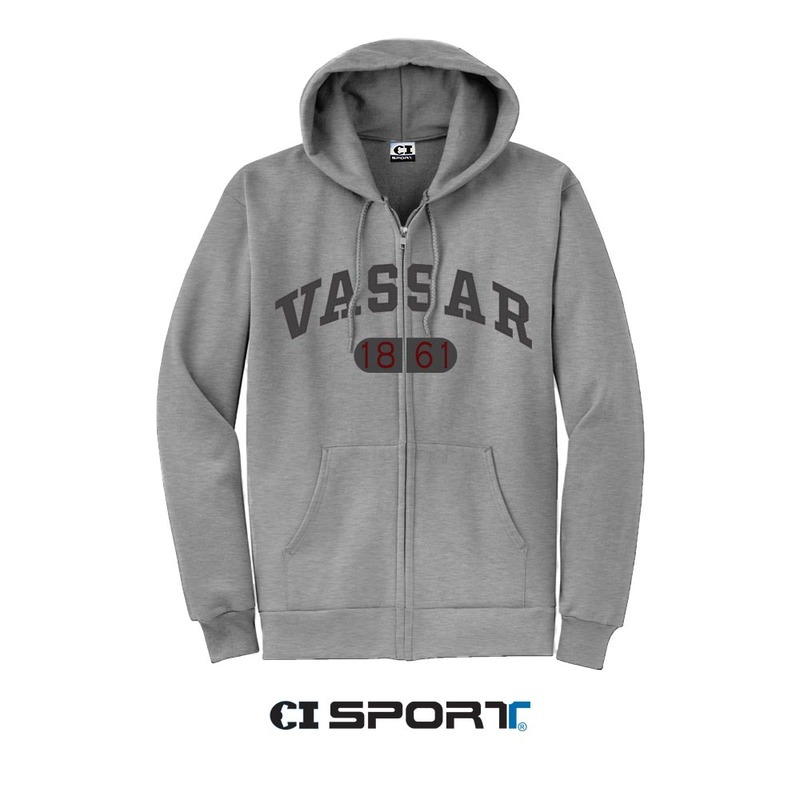 Please select option for CI SPORT PULLOVER HOOD. 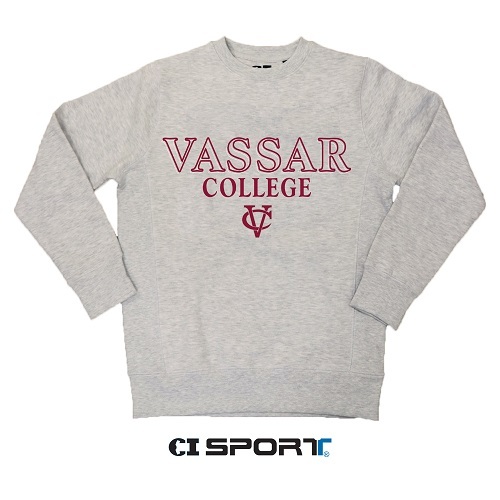 Please select option for CI SPORT SNOWFLAKE CREWNECK. 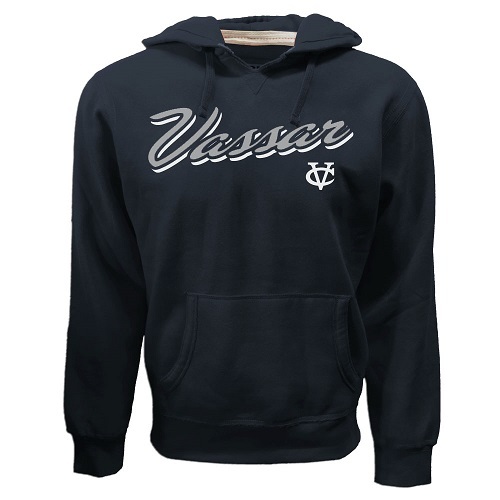 A true unisex cut fleece hoodie in a 52/48 cotton/poly blend that is extremely soft to the touch. We've designed the logo to look weathered and distressed giving it a worn and comfortable look. Please select option for CI SPORT UNISEX MANA HOOD. 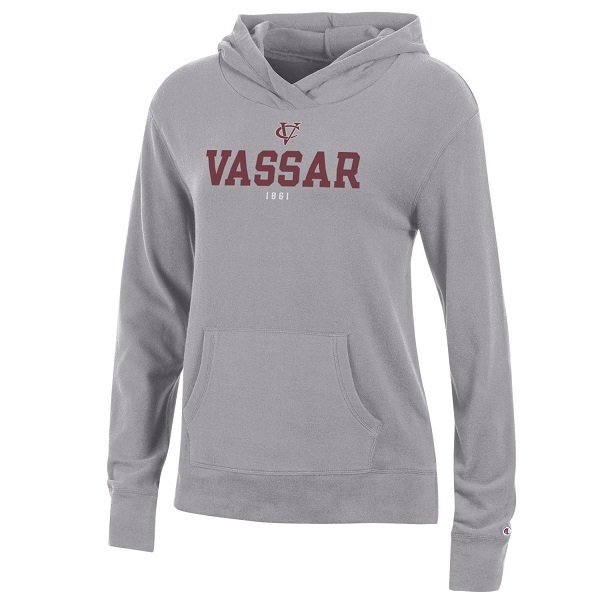 If you only buy one Hoodie when you visit Vassar, this one has you covered. Super soft ring-spun cotton on an 80/20 cotton/poly blend. 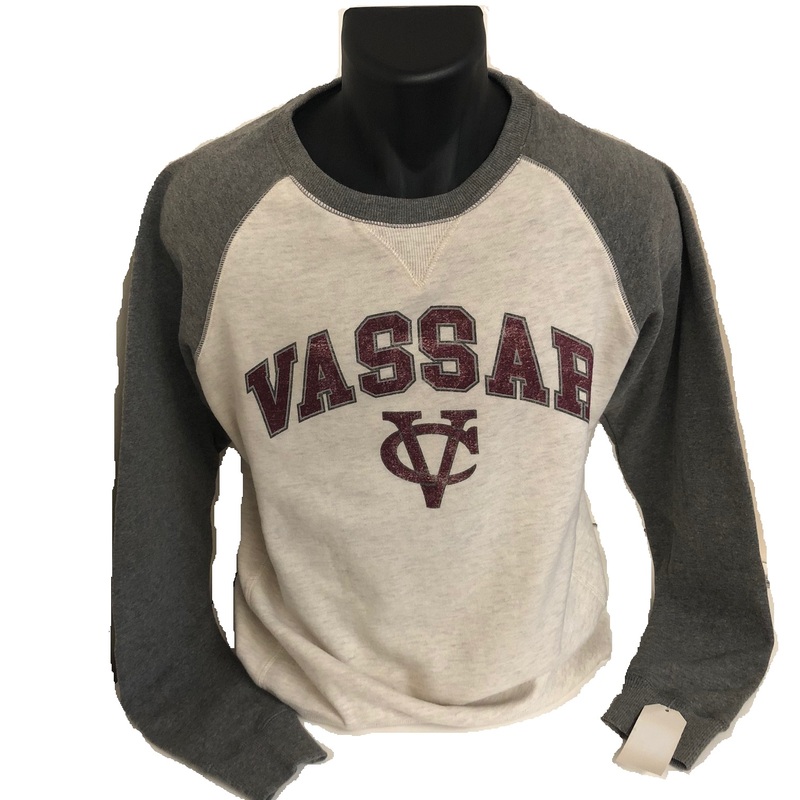 The Hood is screen-printed with Brewers on it, the Back has a Large V with Vassar written on it and the front has the established date and and a Full Vassar College Logo. 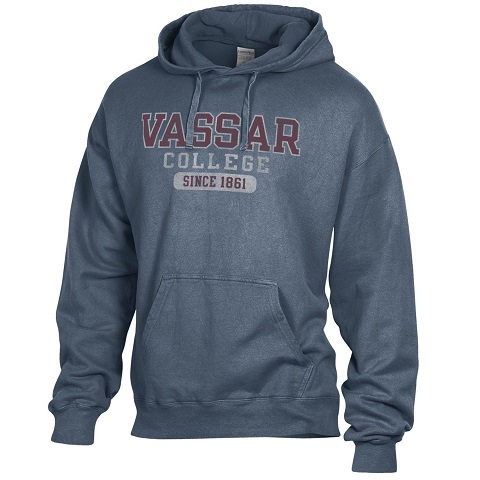 One hoodie representing all of Vassar. Please select option for GEAR FOR SPORTS COMFORT HOODIE. Please select option for GEAR OUTTA TOWN CREW. Please select option for GEAR OUTTA TOWN HOODIE. 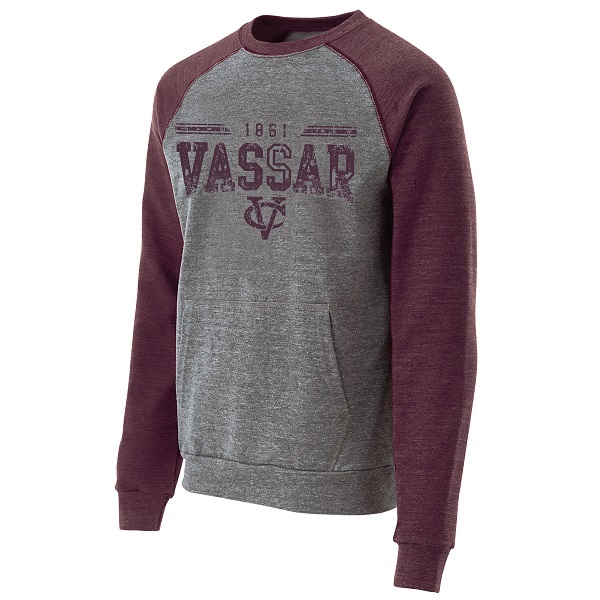 The HOLLOWAY Roster Crew features a French Terry heather Gray body with Maroon Sleeves. 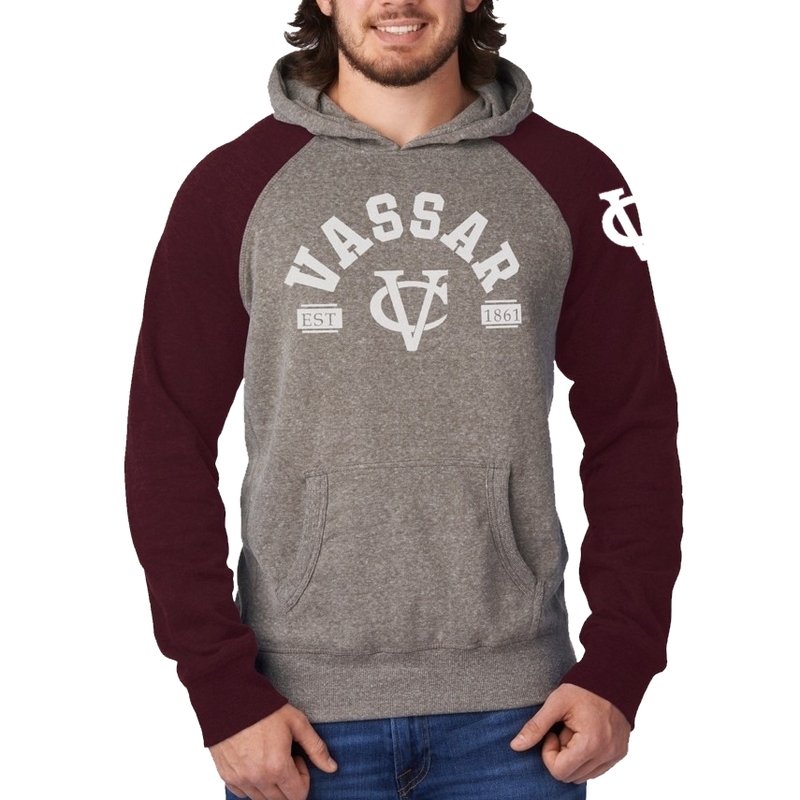 The Distressed Maroon Vassar Logo looks great on this sweatshirt with pocket. The fabric is a soft blend of 50/37/13 poly/cotton/rayon. Please select option for HOLLOWAY MEN'S ROSTER CREW SWEATSHIRT. Fun is the word that comes to mind when you see these Glitter thread hoodies, when you want to wear something a bit different and show your style,. 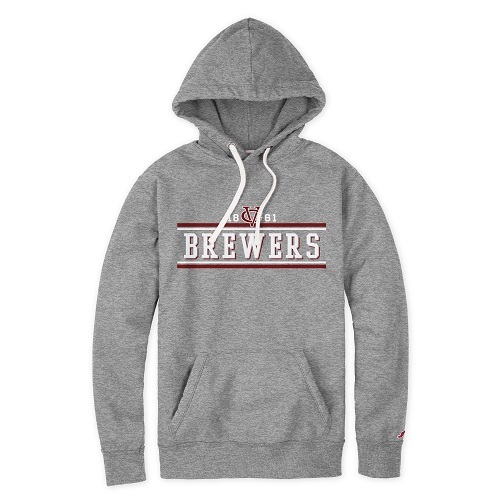 This french terry is crafted of 54/38/8 cotton/poly/metallic. Please select option for J. AMERICA WOMENS GLITTER HOODIE. 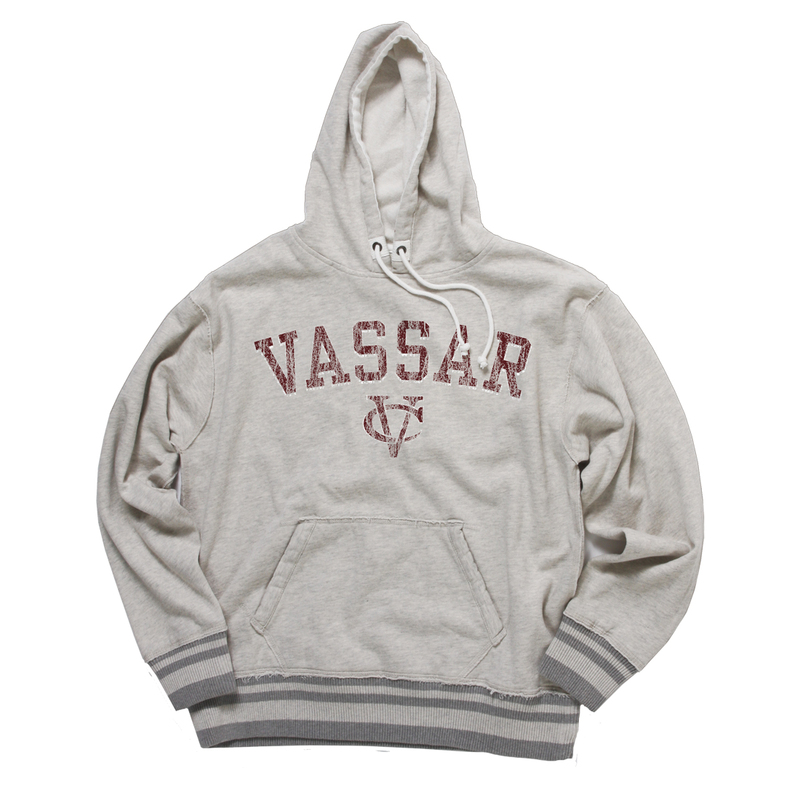 A Hoodie that features embroidery and applique against an oatmeal fleece and over sized drawstrings. The 80/20 cotton/poly blend is both soft and comfortable. Please select option for J.AMERICA HOODED VC. Great value at a great price, this is a special buy that would normally carry a much higher retail. 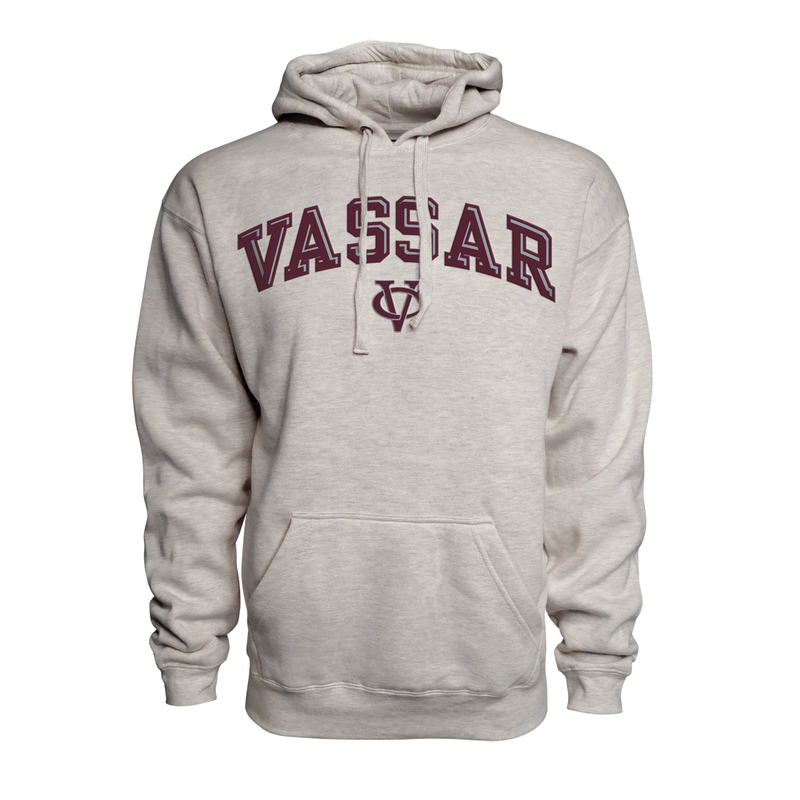 Two color Vassar screen printed logo on an oatmeal color fleece hoodie with contrasting gray stripes on the waist and wrist bands. Detailed drawstring eyelets and a 60/40 cotton/poly blend create a stylish and comfortable Hoodie. Please select option for JAMERICA OATMEAL STRIPED. Comfort and Tech, this hoodie is built for performance but styled for everyday wear. The graphic is contemporary and the cosmic black fabric is the perfect contrast to the Maroon lettering with Black shadow. Looks even better in person. Please select option for J-AMERICA WOMENS COSMIC HOODIE. Please select option for LEAGUE ACADEMY CREW. 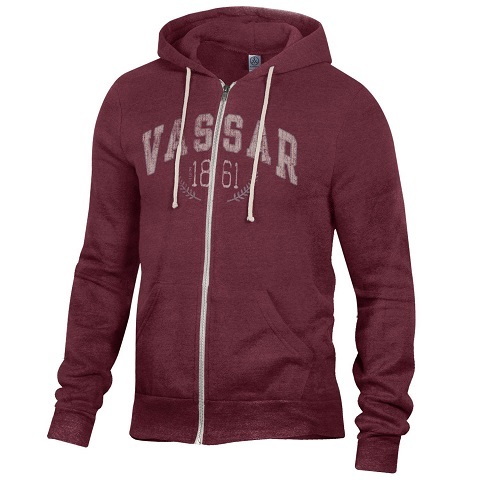 LEAGUE ACADEMY HOOD MAROON 80% COTTON AND 20%POLYESTER. Please select option for LEAGUE ACADEMY HOOD. 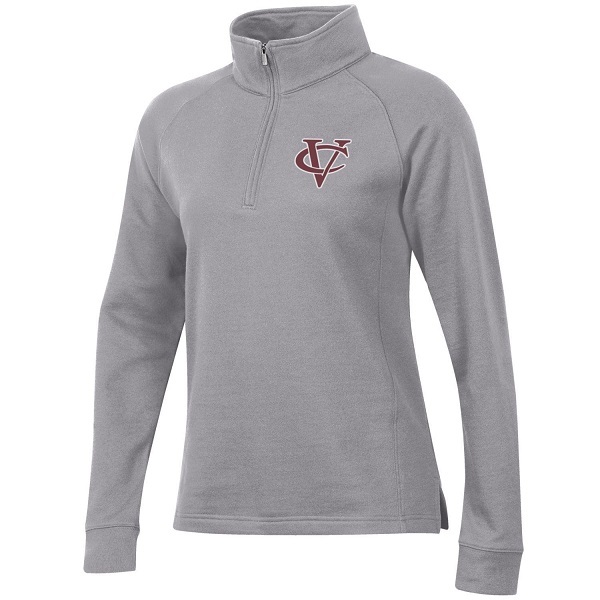 LEAGUE Hooded 1/4 zip that screams comfort. The 80/20 cotton/poly blend will offer continual softness. The embroidered logos add sophistication to an other wise casual piece. The texture makes this a very special top. Please select option for LEAGUE ELI'S HOODED 1/4 ZIP HOODIE. Please select option for LEAGUE HERITAGE FULL ZIP. The LEAGUE Manchester Hoodie in 80/20 cotton/poly blend, Is super soft to the touch. It Features The Brewers Lettering and the established date of 1861. This is a special purchase and is being offered as a great value while supplies last. Please select option for LEAGUE MANCHESTER BREWERS HOODIE.